Hopefully if you’ve read more than one blog post of mine you have realized I love affordable home decor. 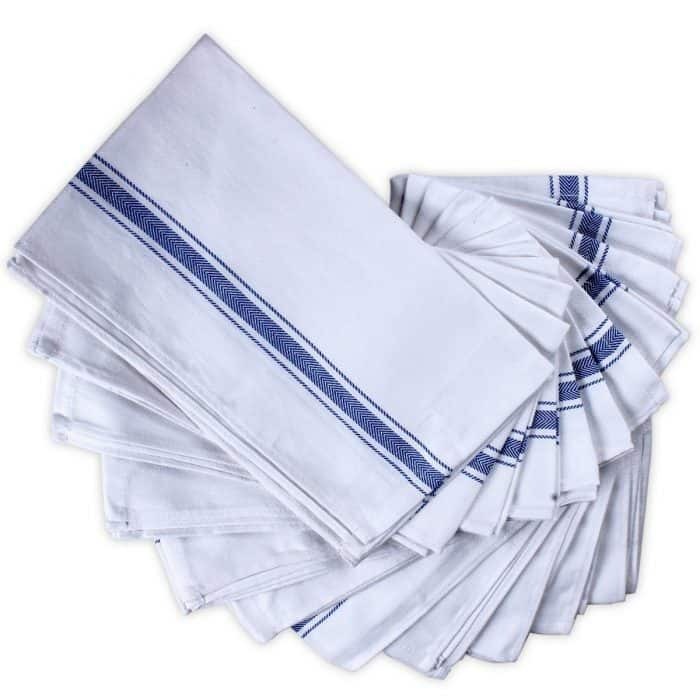 I have searched the internet and found some wonderful farmhouse kitchen decor on Amazon that will easily fit into your budget. I don’t live in a farmhouse but I still love the style and I think every home should have a touch of timeless style that older homes have. It’s simple and nostalgic design can be used in so many types of homes. I try to incorporate pieces into my home that are timeless, fun and functional. These kitchen decor items I found on Amazon are both affordable and stylish. Click the item title to see all of the details. This post contains affiliate links. 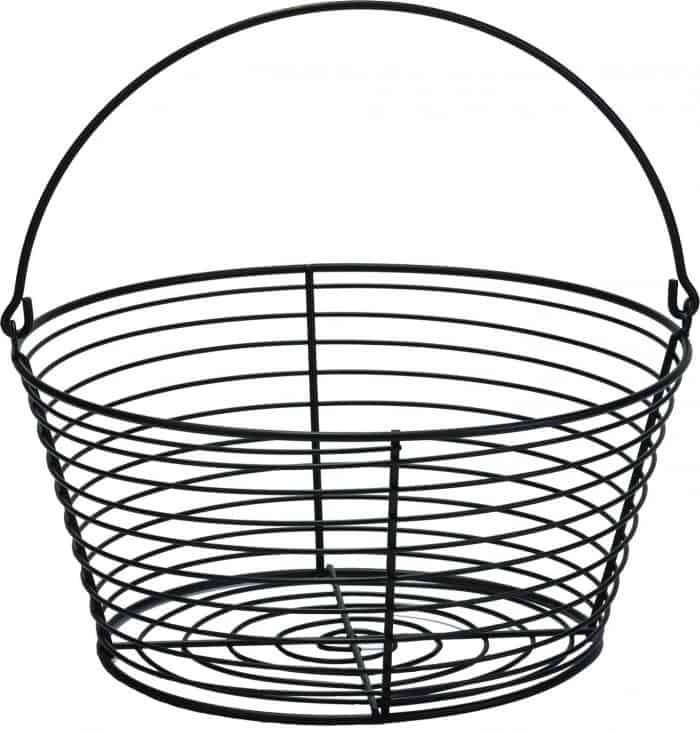 This basket is so cute. I have started buying fresh eggs and I thought this would be a great way to store them in my refrigerator. I also thought it would look great sitting on the kitchen counter as decor with some greenery. 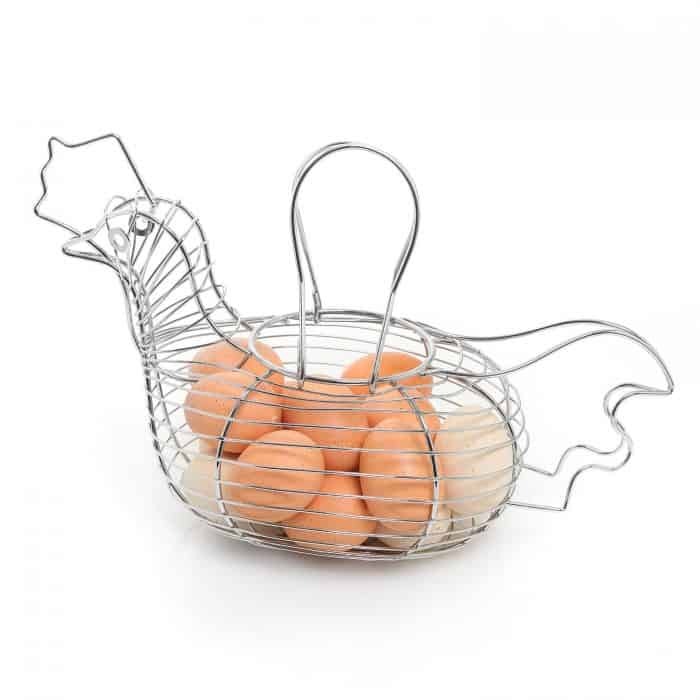 Classic egg baskets like this one can be used for many things besides storing eggs. Linens and fresh fruit come to mind. 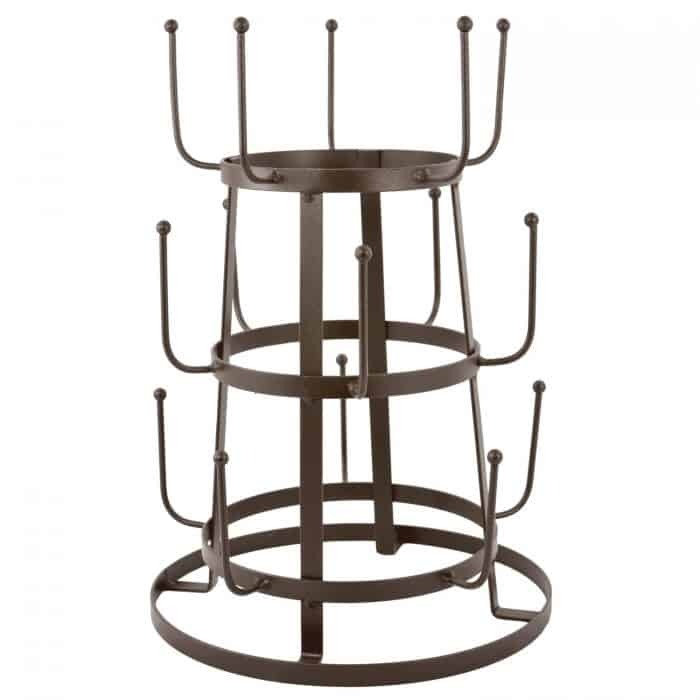 Line 2 or 3 of these up down the middle of a dining table and create a beautiful centerpiece with plants. Vintage signs have been popular in home decor for a long time. They work great to give your space a comfortable homey feel. 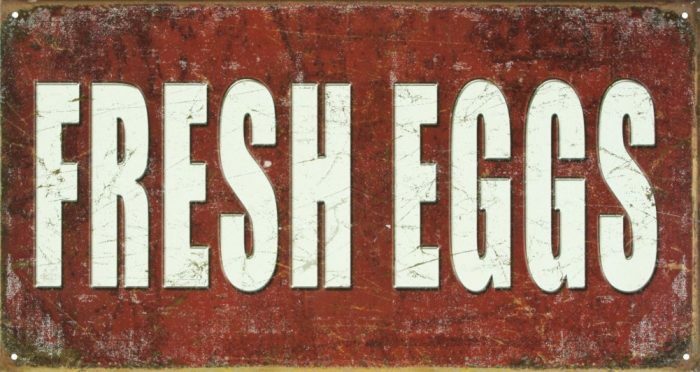 Farmhouse kitchen decor pretty much requires a vintage sign especially one that says Fresh Eggs. I have seen similar chairs to these on episodes of Fixer Upper and always love the look. 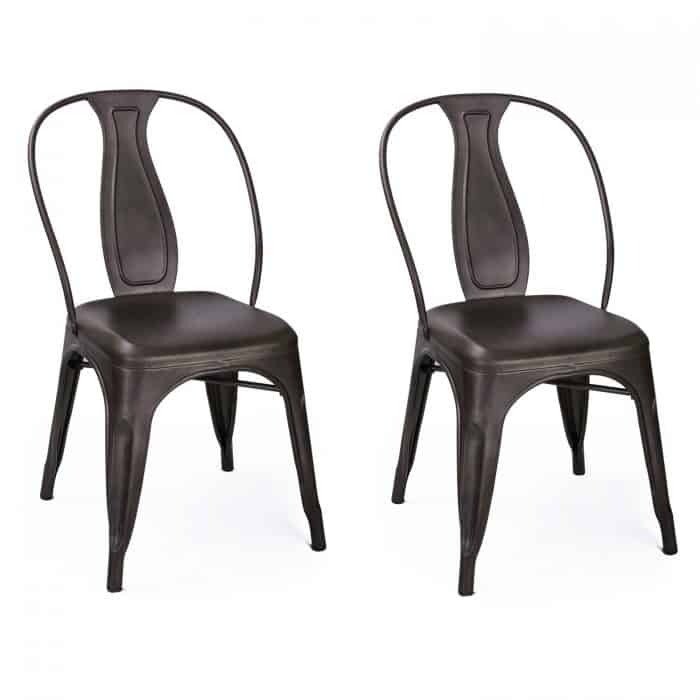 I am not really sure how comfortable they are but I think they are wonderful to have on hand to add extra seating when you have guest over. Although the way the center of the back is made I tend to think they would be great for everyday use as well. This…it is so cute! 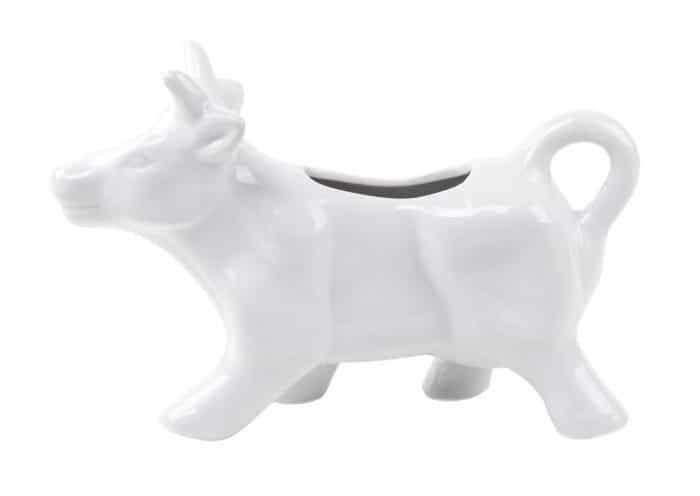 Farmhouse kitchen decor and cows are the perfect match. 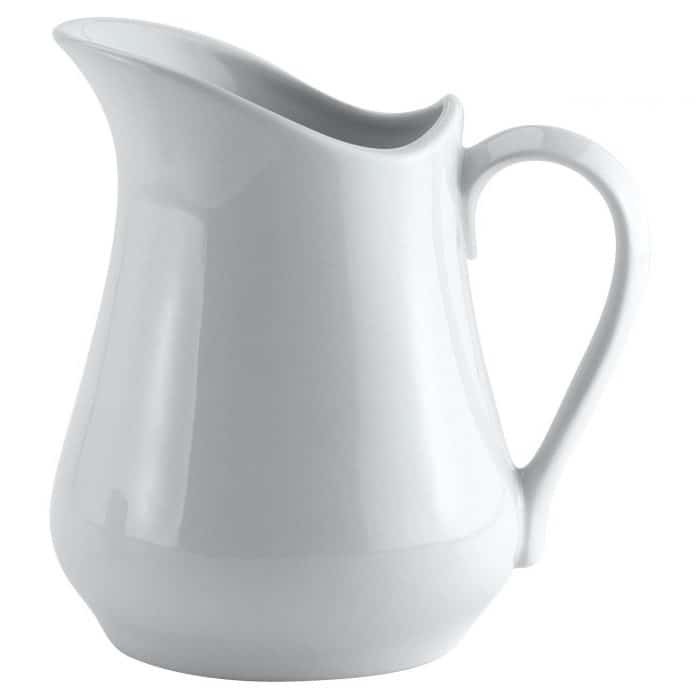 I chose this small pitcher because it is the perfect size for fresh flowers from the market or your own garden. Cut the stems shorts and place under the kitchen cabinets or by the sink to bring some color and beauty to your space. Don’t want for a special occasion to grab a bouquet of flowers, treat yourself the next time you are at the store. Better yet, buy a couple of these to treat a neighbor or a friend who could use a nice gesture. 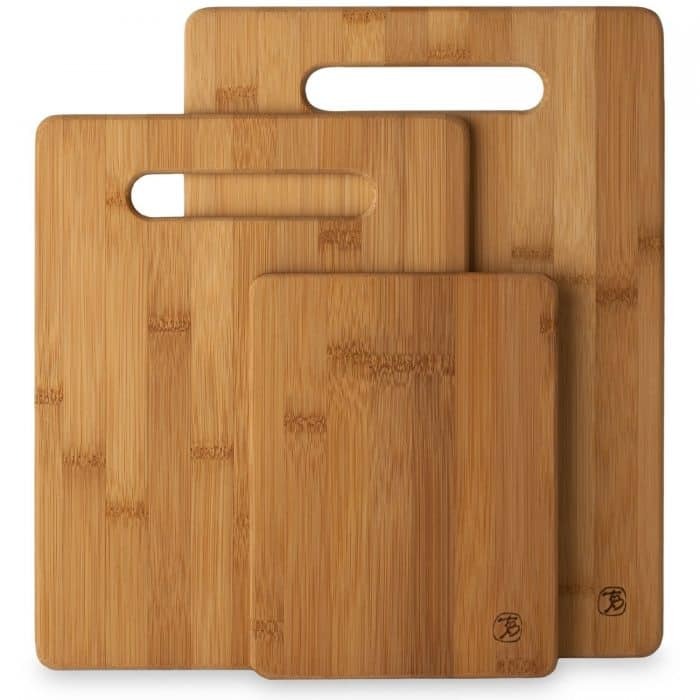 Cutting boards are a staple in any kitchen but for farmhouse style they work so great left out on the counter as decor when not being used. I prop mine up to against the backsplash to add texture to my counters. 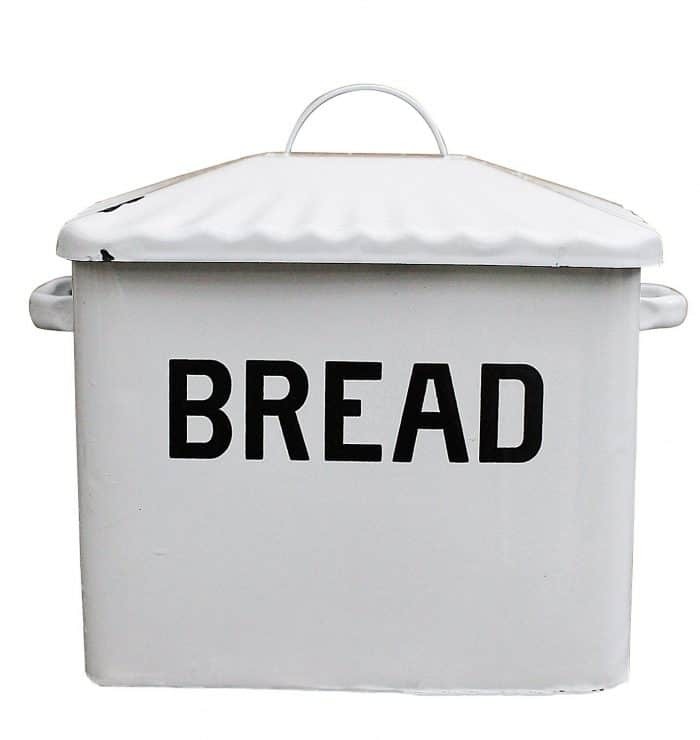 This classic bread box screams farmhouse to me. I love the classic black and white with the worn look. It’s such a nostalgic piece that is functional too. Whether sitting by your sink as you wash and dry your mugs or by your coffee pot where you store them, this drying rack is a great item to have. I’m planning to repaint my kitchen cabinets white after school starts back. This will be the third time I’ve painted them in the 9 years we have lived in our home. If you’d like to see how they look now just head to this post. I went outside of my comfort zone with them but I have to get back to what I love most. Thank you for sharing your decor ideas and especially their sources! Great to see a blog from you today! This would be a great addition to the blog and fun to read!